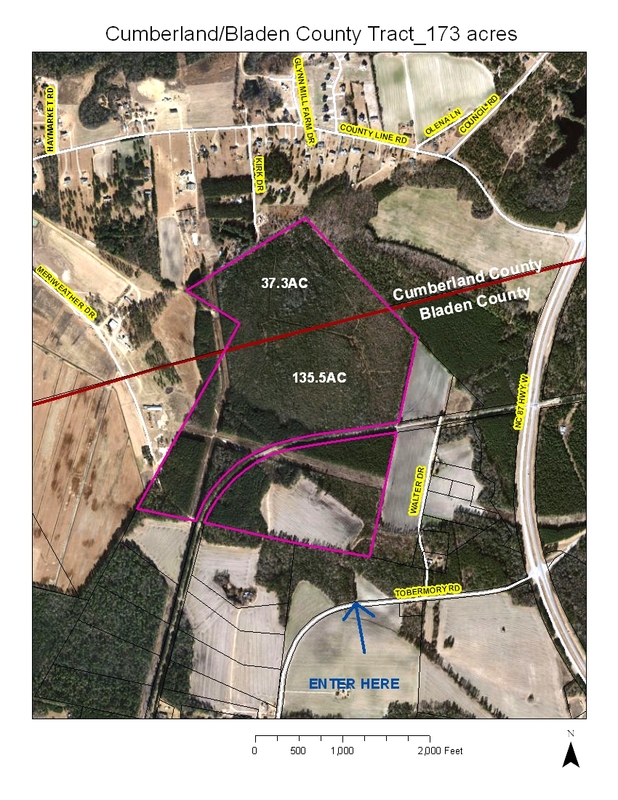 This 173 acres on the border of Cumberland and Bladen County has access through Tobermory Rd. to the south. The tract has a mixture of farmland and timber. There is a railroad track and power line easement, which go through the southern section of the property.